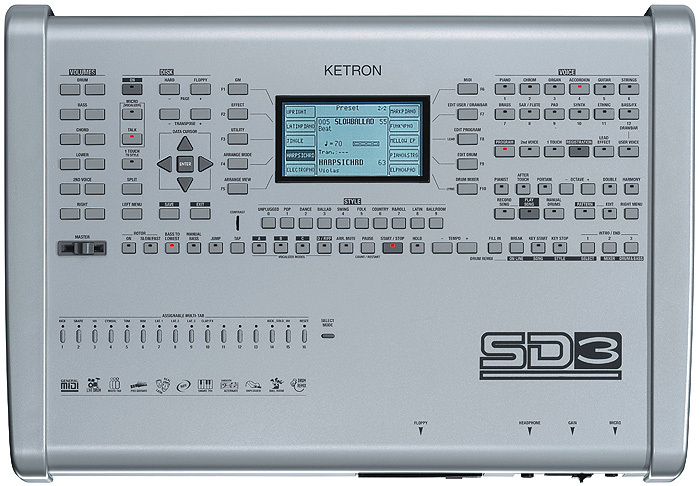 SD3 version II brings this trusted module bang up to date with the latest Streaming Media Technology. Instantly Play MP3 and WAV files direct from USB or Solid State Drive. Microsoft Windows (R) compatible file system means easy management of your Midi Files, Styles, Registrations, etc. USB Drive Support Up to 32gb. Song Recording real time Song Recording to Disk (SD or USB). Amplification New 2x22W RMS Stereo 2 ways amplifi cation. Speaker On/Off switch.